Sandra Garšvienė, Milda Mikalauskienė (Lithuanian Art Museum Pranas Gudynas Restoration Centre), Gundars Kalniņš (Cesis Culture and Tourism Centre). 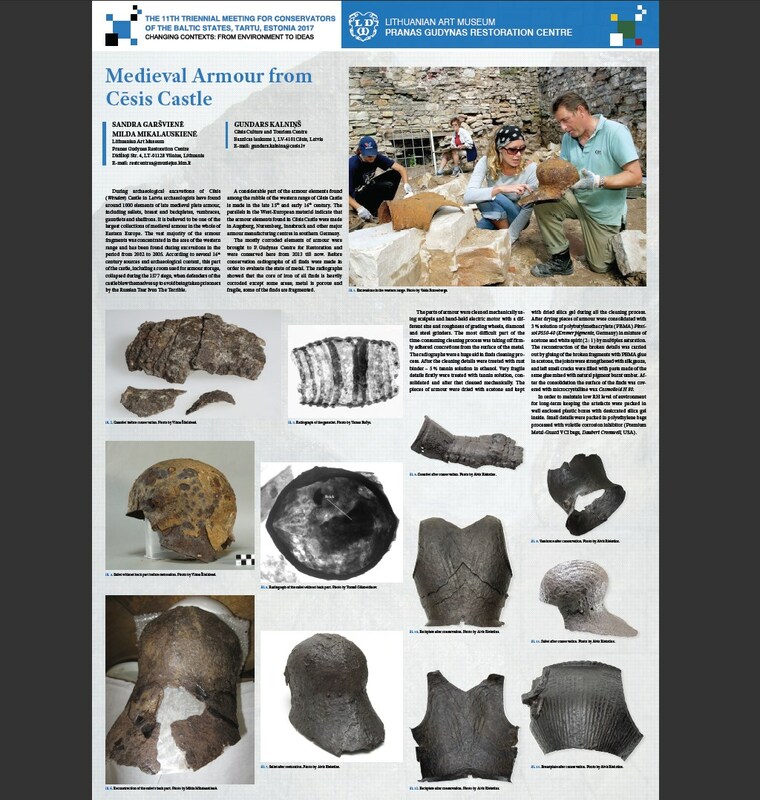 During archaeological excavations of Cēsis (Wenden) Castle in Latvia archaeologists have found several hundred elements of late medieval plate armour, including helmets, breast- and back-plates and gauntlets. It is believed to be one of the largest collections of medieval armour in the whole of Eastern Europe. The part of mostly corroded armours was brought to P. Gudynas Centre for Restoration where were conserved from 2013 till now. Before conservation all finds were examined in order to evaluate the state of metal and according this data cleaning and conservation methods were chosen and applied.